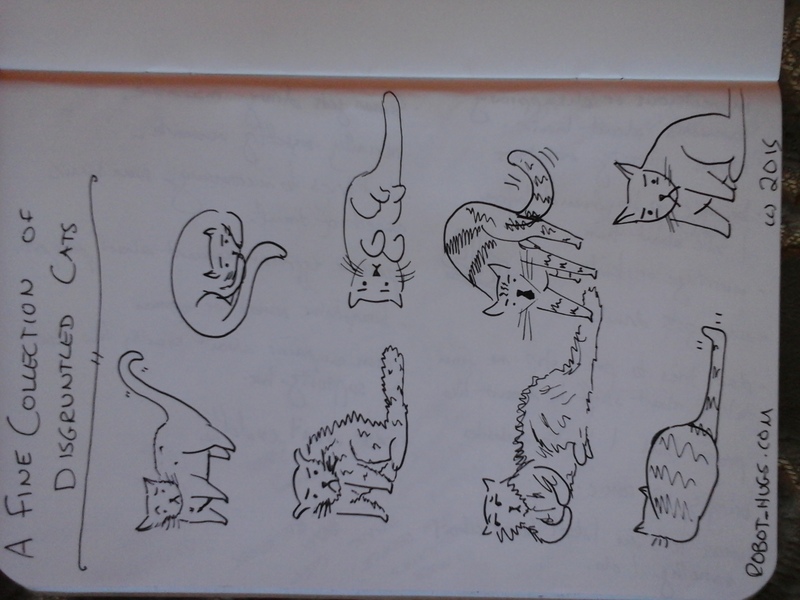 I drew you some cats. They are having feelings. They are also sideways because I can’t edit this picture on this tablet. Sorry.